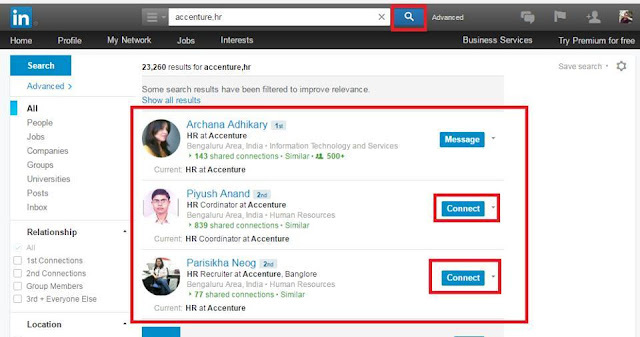 I will explain you how to use "#LINKEDIN" and contact with HR directly. Why do you want to request each company employee for reference in his/her company if you have the direct contact with HR. Below images are with step number. Kindly read the step and see the images for better understanding. 6. Now click on "Connect" button. 7. Now connect button name will change to "Invite Sent". 8. Now wait till he/she will accept your invitation. 9. Once he/she will accept your invitation then one notification will come that he/she is now connected. Thankyou for accepting my request. Please let me know if there is any suitable opportunity in your known for "give your skill here". 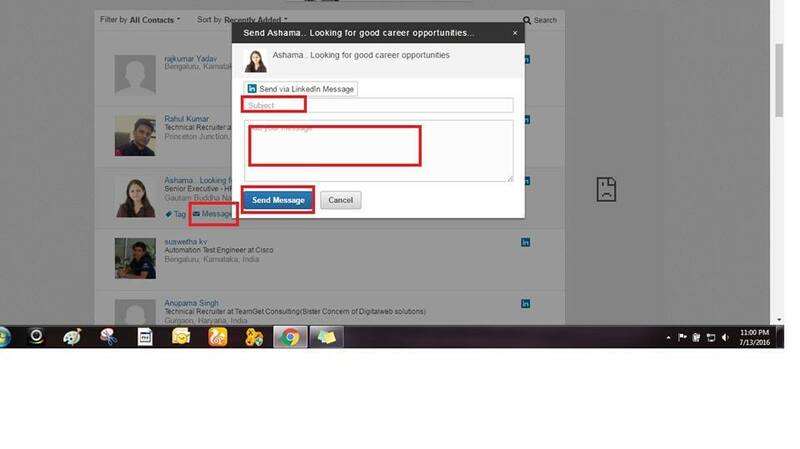 Please let me know the email id where can I forward my profile. "Give your technical skill here"